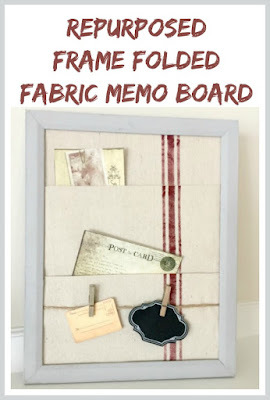 This gorgeous memo board is easy to make and I'm going to show you how. To begin with I'm using a small piece of one of my favorite stencils from Old Sign Stencils. 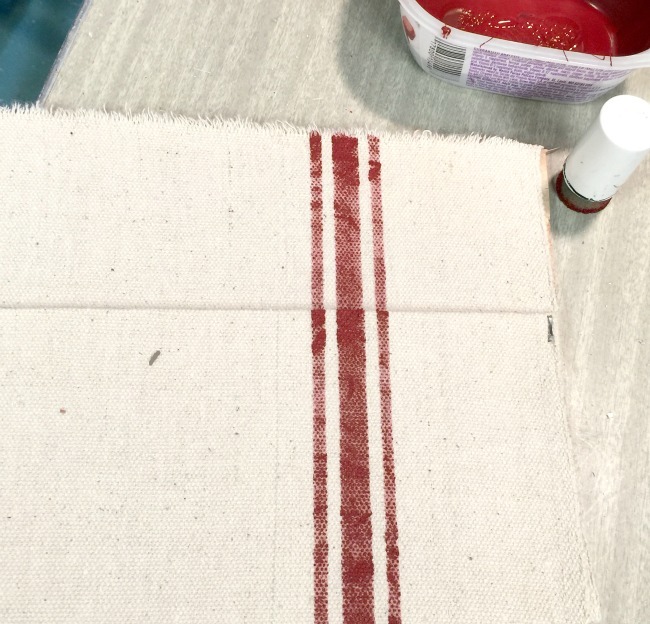 I was sure the grain sack stripe from one of the Old Sign Christmas stencils would be good for just about any project and I was right. 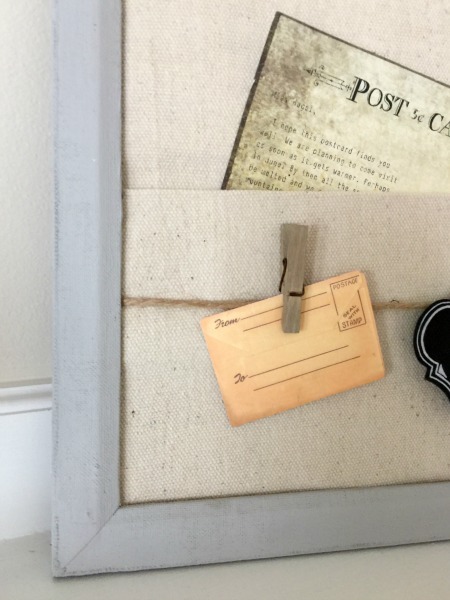 I began this project by painting an old frame and cutting a piece of thin wood to fit inside the frame. I then cut a piece of painter's cloth the width of my board and about a foot longer. I sprayed the board and the back of the fabric with spray adhesive. 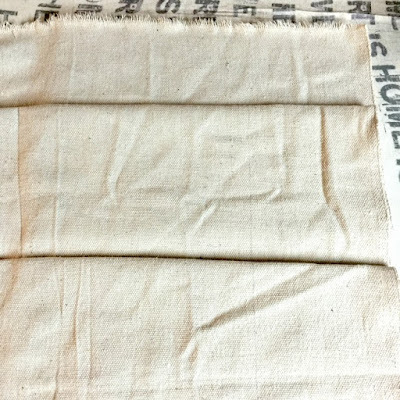 I folded the fabric a couple of times so it would fit the length of the board then ironed the fabric while it was in place on the board. 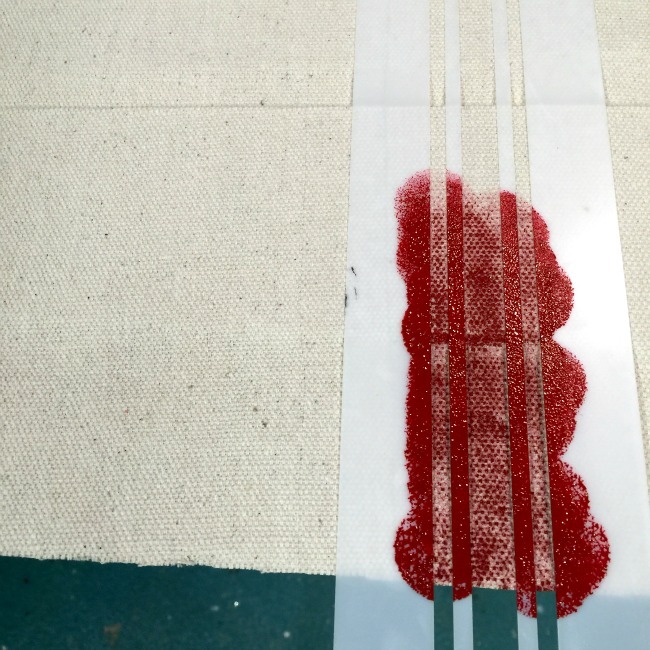 The next step is using the stencil... 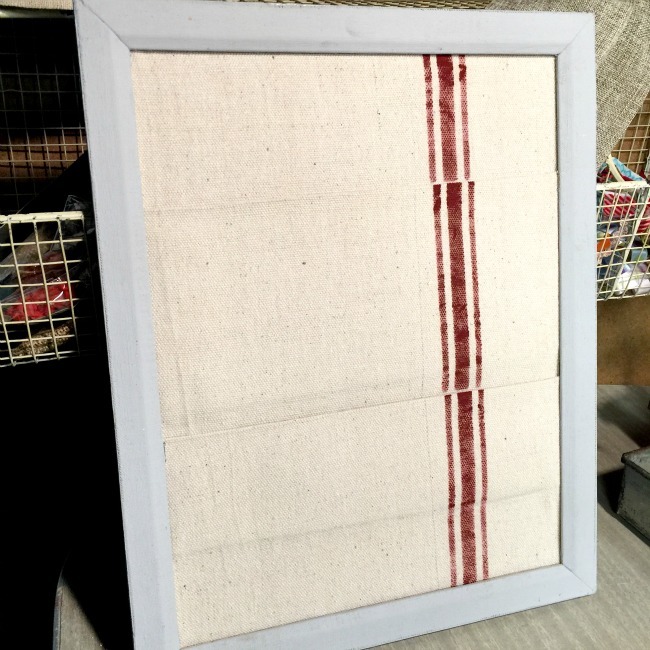 I used chalk paint and a sponge stamper to paint inside the grain sack stencil. fit the board into the frame. 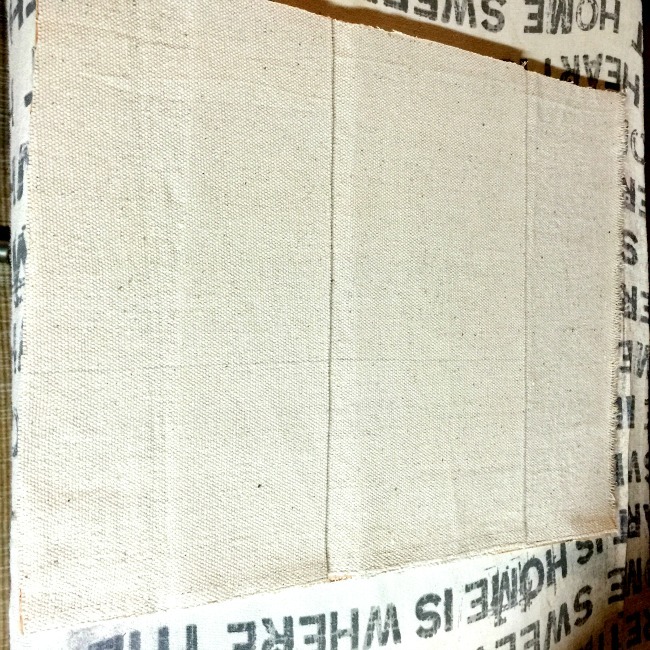 Using my awesome framing gun, I secured the board inside the frame. As an after thought I added a piece of jute across the bottom of the frame to hold memos with antiqued clothespins. 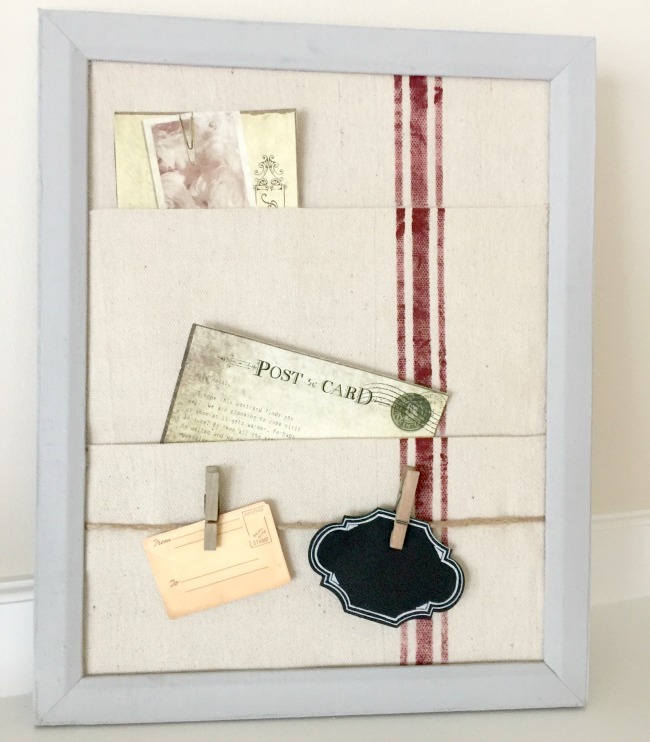 This was a fairly easy project that can be made to fit in any size frame. I will be busy making more of these for the shop you can be sure! 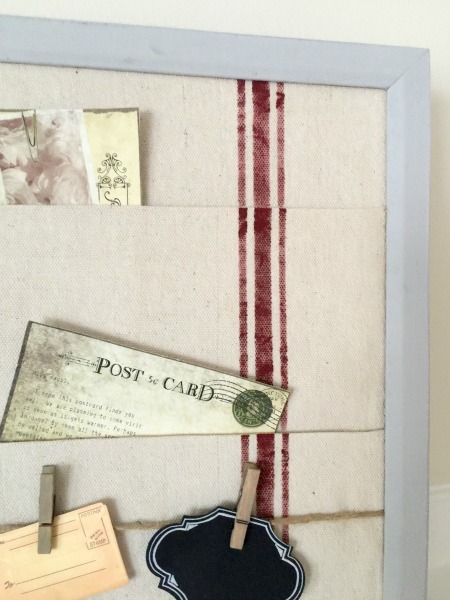 *Old Sign Stencils were provided to me to try and I love them! 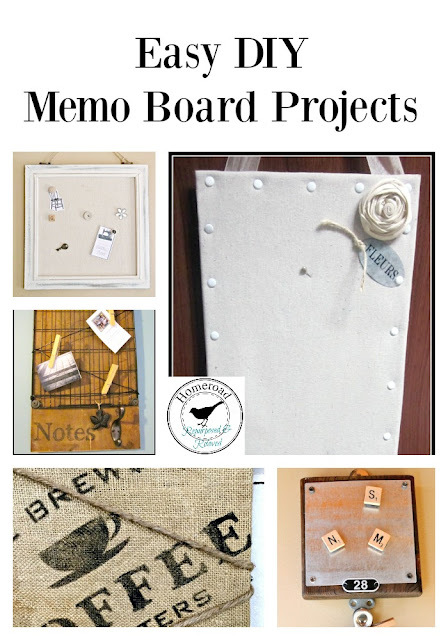 Chalkboard and Memo Board Projects. Super cool project! 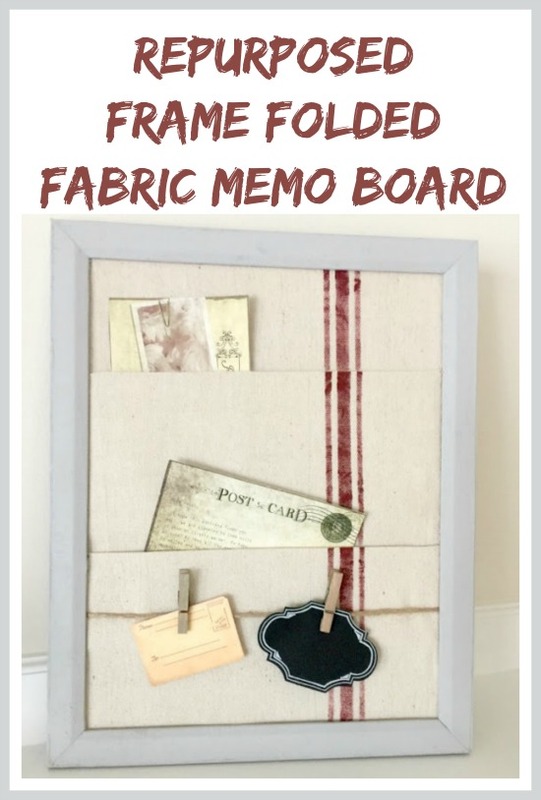 Love that grainsack stencil! Great job Susan. I did something similar YEARS ago when I first started blogging. It makes me wonder why I haven't done it again.